Let’s see, pick up the kids at 230, soccer practice at 245, pick them up at 445, drop them off at the Y for swim lessons and return at 600. Community service starts at 730 and I have to give them dinner…what to do? Sound familiar. Balancing our kids’ schedules with preparing a healthy dinner is a difficult task. 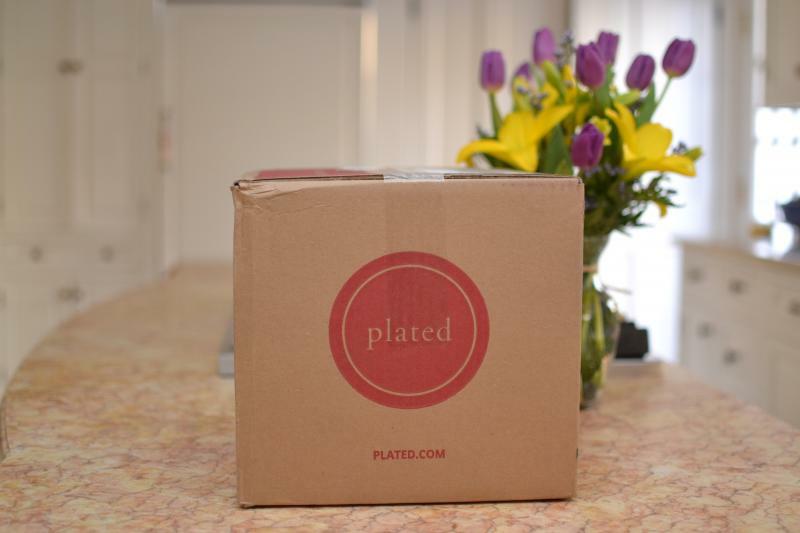 Plated is a new service in Fairfield County, designed for the family that has limited time to shop but would like to prepare its own meals. It delivers pre-measured ingredients plus the recipe to prep and cook a specific entrée plus side dish. The ordering process is simple, log into the site, www.plated.com and look through the options. There are limited choices, 2 meats, 2 fish and 3 vegetarian. This is the first drawback. In addition I noticed that one or more of the items were already “Sold Out.” Each entrée costs $15 and is designed to feed two adults. I ordered the Salmon with creamed Pan Roasted Salmon with Creamy Pearl Onions and Peas (660 calories) plus an order of Shepard’s Pie (550 calories). The box was left on my front porch and when I opened it, I was impressed with the packaging. The food was well wrapped and two ice packs kept everything very chilled. The protein was packed separately from the other ingredients. The vegetables were all washed and the seasonings were individually packed. A four-color recipe card was included. 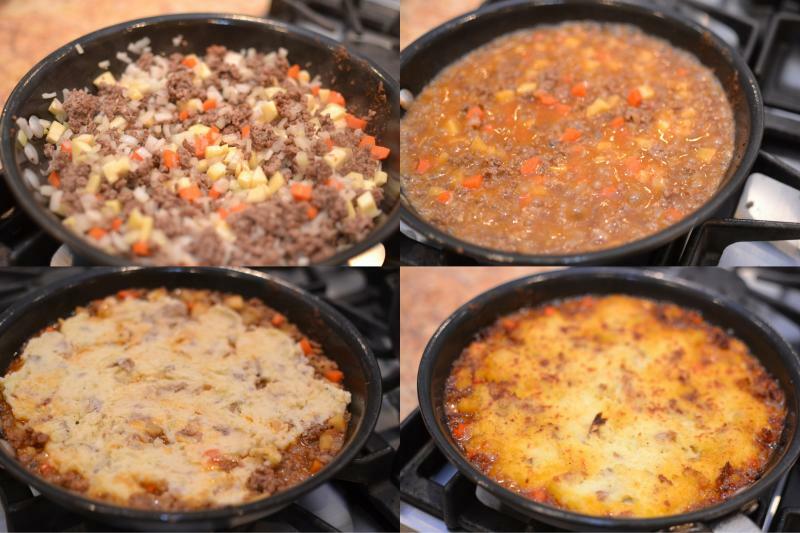 Shepherd’s Pie – The total time from start to finish was probably 45 minutes. The prep work is much more involved than the salmon, but still very straightforward. Boil the three potatoes, add the heavy cream and butter and mash until smooth. In the meantime, peel and dice an onion, the parsnip and the carrot. Then you sauté the meat, add the vegetables, cook, add the broths and reduce. 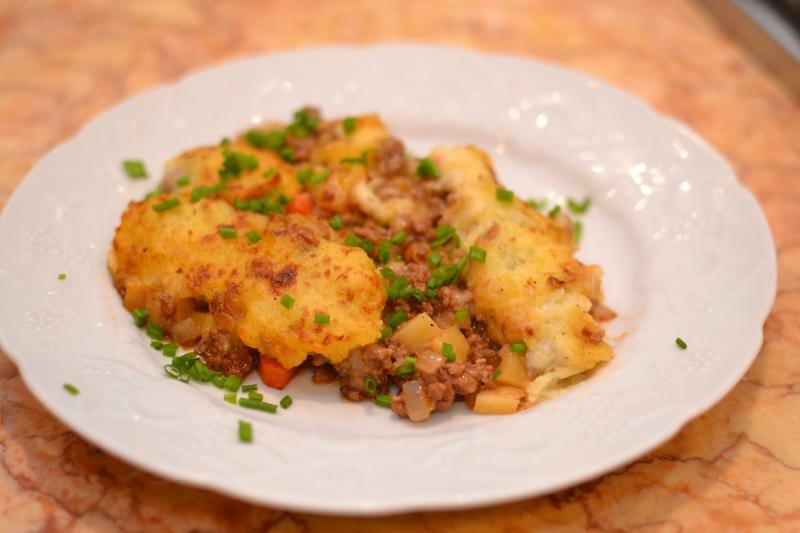 You finish by topping the mixture with the mashed potatoes and place under a broiler to brown. Result – We really liked this dish. It was full of rich flavors and the parsnips and carrots added a sweetness to the sauce. The seasoning of the beef was delicious and the potatoes added a creamy touch. Likewise, there was plenty of food for two hungry adults. 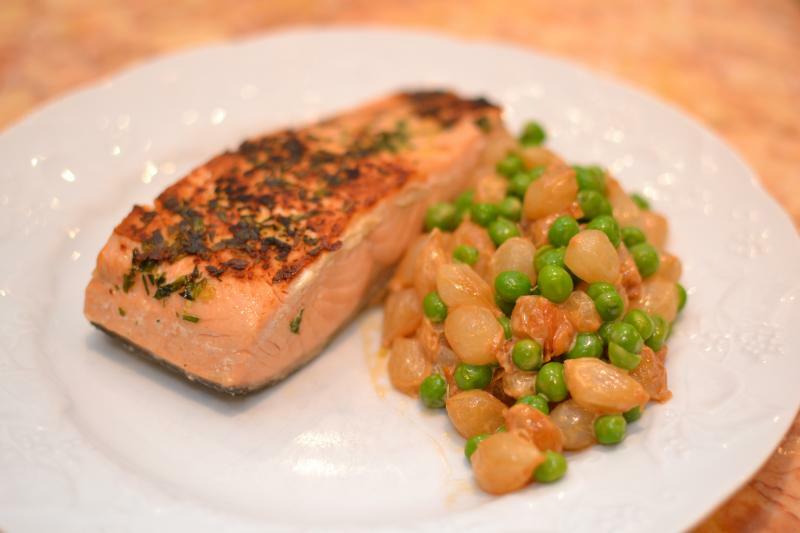 Salmon – Recipe was very straightforward and can probably be completed in under 20 minutes. The only required prep work was (1) zesting the lemon (b) cutting the lemon in half and (c) de-leafing and finely chopping the fresh spices. 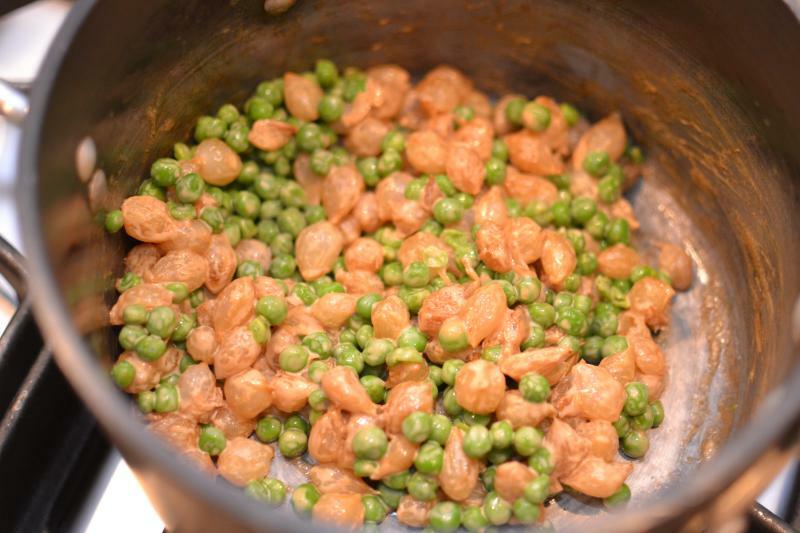 Cooking the creamy pearl onions was a snap, place in a pot, add the onions, brown, deglaze with the white wine, add the heavy cream and reduce. The salmon is seasoned with the zest and chopped spices and pan roasted for 7-8 minutes. Add a squeeze of lemon and serve with the enclosed ciabatta roll. Result – We did not like this dish. The seasoning on the fish was excellent and I will use this combination in the future, the recommended 7-8 minute cooking time was much too long. The salmon was vastly overcook. I did not like the onions and peas at all. The flavors were off and not enjoyable. This is not a dish nor a recipe I would recommend. Again, the portions were generous, two six-ounce filets and plenty of onions and peas. 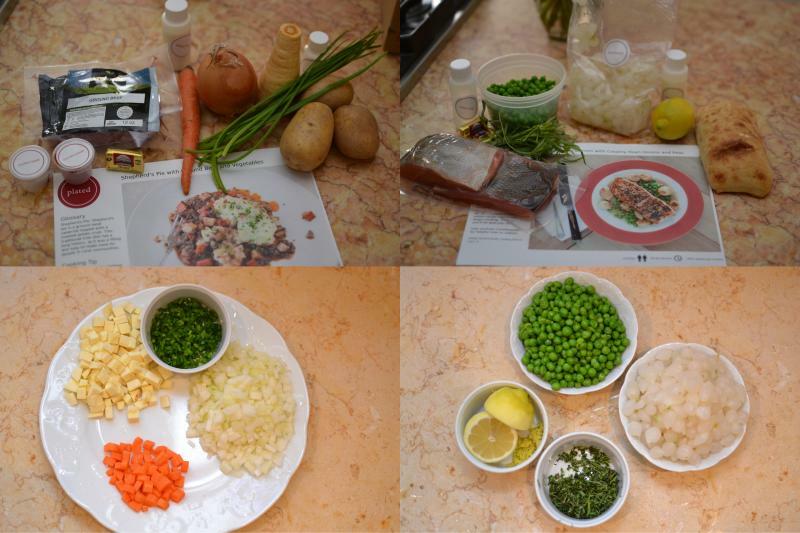 Recipes included photos as well as verbiage to guide the prep and cooking. This is not an eco-friendly solution, there are lots of throw away mini plastic containers.